Taxation without representation was the call to action during the Revolutionary War, and justly so. While the hefty taxes imposed by England on the colonists were widely unfair due to the lack of commoner representation in parliament. However, it is an inescapable fact that taxes are an essential part of a country’s economy. While George Washington wanted to try his best to avoid taxes, several states had incurred debt from the war so Alexander Hamilton felt taxation was a necessary course of action. Washington then took it upon himself to travel and listen to various voters opinions on the matter to gage his support of the bill; the result was unexpectedly pleasant. With reassurance in his mind, Washington gave the okay to Hamilton to push a federal tax to assist with debt and add an additional tax to whiskey as a backup fund if anything went wrong. This maneuver did not go well, however. Protests started almost immediately after the law was put into place in 1792. It seemed the offended parties were farmers, who had to pay cash only for taxes, and smaller distillers, who had to pay nine cents a batch while larger distillers received several tax breaks. From the beginning sporadic violence arose across the countryside- mostly in Pennsylvania- against tax collectors and other authority figures. By 1794 the conflict had reached a point of do or die for the angry mobs who had been warned several times by the government to stand down or they will be facing a militia. This threat only came after the destructive attack on John Neville’s Pennsylvania estate after he had served writs of summons to several people who did not pay their taxes during the summer of 1794. The pot was quite literally near boiling over as the seasons changed and the simplest thing would set either side off. The crux of the conflict came after flames had just been put out on another in Pittsburg after an angry tax payer had intercepted mail that expressed the distaste officials had for the attack on Neville’s home. David Bradford, the man who read the letters, threatened to destructively riot through Pittsburg the next day, but this was quickly deterred with some whiskey barrels and an apology. Soon, new signs of a reignited conflict had arisen so Hamilton voted for a militia to be sent, but Washington opted for a peace envoy instead- which ultimately failed. Finally, Washington marched with an army of twelve thousand men into Western Pennsylvania to end this rebellion. Oddly enough, however, the opposition failed to show up so suspected rebels were arrested and brought back for trial instead. It turns out that most of the rebel leaders had fled; among the twenty men who were arrested all but two, who were charged with treason, were acquitted. After the conflict mellowed from its rolling boil in 1794, there was little conflict in the following years. Eventually in 1802 the tax was repealed and all was well that end well. Sometimes starting something up does not always prove to be as easy as it was on paper and there are often several hiccoughs along the way once the ball gets rolling. The same could certainly be said for the start of a new country and all its ins and outs. After the end of the Revolutionary War, the newly establish United States of America had to learn to stand on its own two feet. Essentially everything had to be built from the ground up- this included government, law, and currency. While many of these tasks were daunting, it seems perhaps that the most difficult obstacle they had to overcome was currency. In fact not only were conversations regarding the Nations money delayed, but so was the establishment of the mint, coin value, materials, and officials. Thankfully by 1792 congress had finalized the currency system and mint establishment in the Coinage Act. 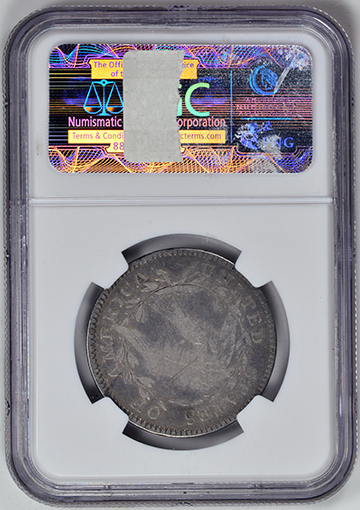 Still, actual mintage was a ways away since the mint had difficulties with copper coinage, which began two years after the Act. Once it was time to move on to precious metal coinage, silver was the first to come, but there was still significant obstacles. To begin, the reserves of precious metals for coinage was absolutely laughable, so they mint had to rely on wealthy depositors to contribute metals to produce coins. The mint planned to pay these men back through coins equal to their deposits as soon as possible. Once the metal was in, the government filled the production with red tape and decided both the Chief Coiner and the Assayer had to put up a bond of $10,000 each, to offset malfeasance. This, by no means, was not easy money to come by; in fact it was nearly impossible for these men. Congress reluctantly relented and lowered the bonds to $5,000 for the coiner and $1,000 for the assayer; both men were assisted by two other wealthy men to post their bonds. Finally coins could be minted! 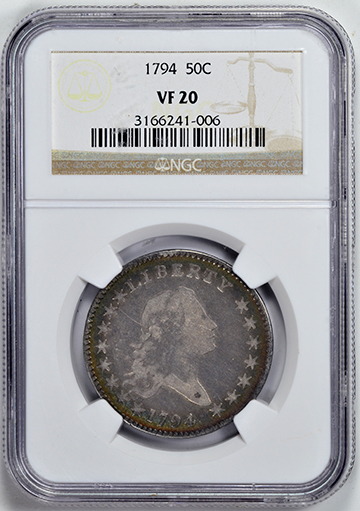 The first three silver coins struck were the dollar, half dollar, and half dime- all of which bore the Flowing Hair Liberty designed by engraver Robert Scot. Unfortunately, the struggle was not over for these precious coins. The mint began with the dollar since it was heftier, carried more value, and was meant to be the “showoff” coin for the nation. However, the dies could not keep up with demand and most of them broke after a thousand or so strikes. 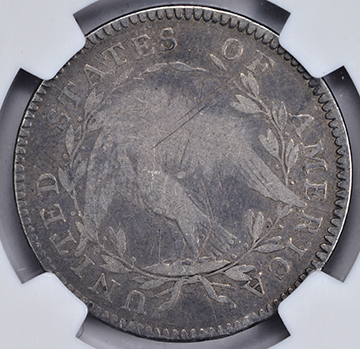 Repairs would take a while, but depositors pressured the mint for their return, so they began the half dollars. Finally, after a successful production of 5,300 coins the mint was ready to produce more, but this time the metal roller system broke down so blanks could not be rolled to their proper thickness. 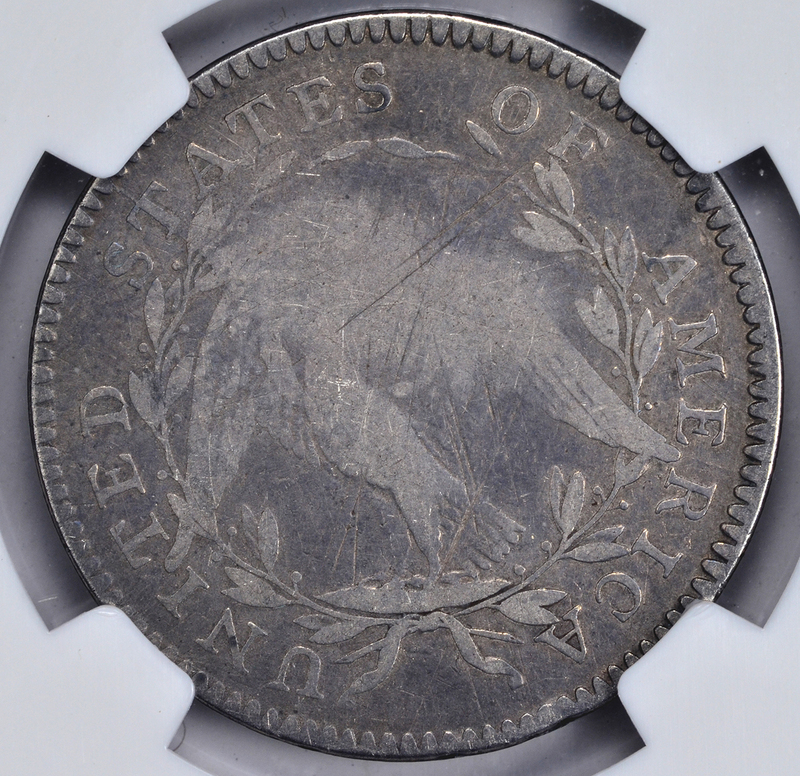 This issue was not resolved until the beginning of 1795; despite the date change, the mint still utilized the 1794 dies well into 1795 since there was no use in trashing something that was still useful. 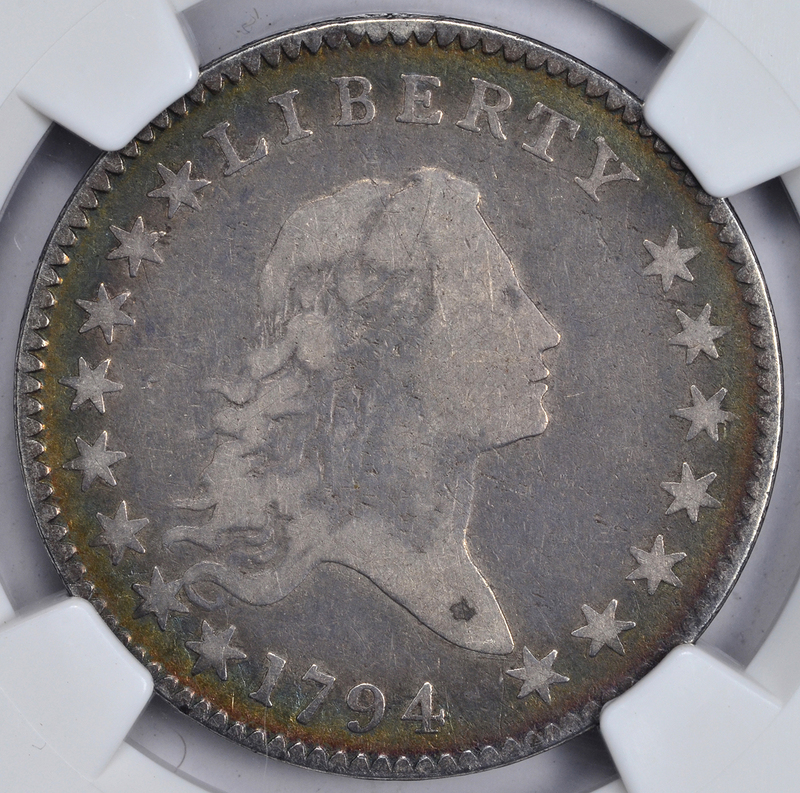 Mintage ran more smoothly the following year as reflected in the numbers, regardless the design saw its final few strikes in the remaining months of 1795 and was exchanged for the capped bust liberty in 1796.